London Midland is a UK train operating company that provides services between Midlands & North West of England to London. London Midland runs over 1300 services every day and is owned by Govia, the parnership between the Go Ahead Group and Keolis. London Midland's route calls at intermediate stations including: Crewe, Stoke-on-Trent, Northampton, Milton Keynes and Watford, with network connections along the way to Birmingham train stations, and Bedford. London Midland also operate local and commuter services concentrated around the Birmingham area, calling at: Stratford-upon-Avon, Coventry, Shrewsbury, Hereford, Worcester, and Kidderminster. First Class London Midland service is provided along the following routes: all routes south of Northampton, between Birmingham and Liverpool and between Birmingham and Northampton. London Midland trains operate on routes formerly run by Silverlink and Central train operating company, who were both managed by National Express. 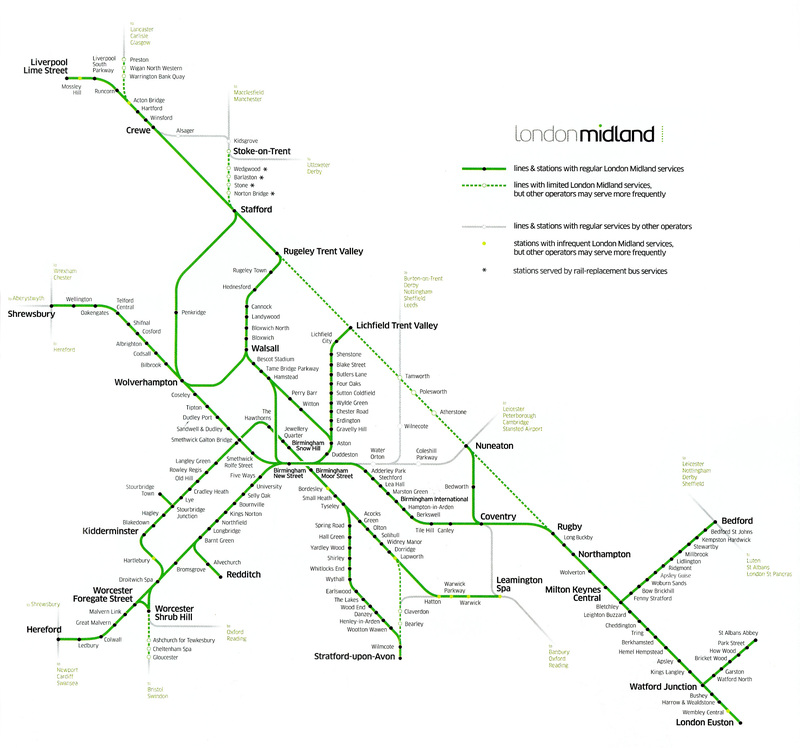 The London Midland franchise began operating on 11th November 2007.